 2016: Acworth Chanukah Celebration 2016: Woodstock Menorah Lighting Fall 2016: NYC Jewish Weekend Fall 2016: Sukkot Fall 2016: Mega Challah Bake Fall 2016: Welcome BBQ Spring 2016: Purim Party 2016: Community Purim Dinner & Celebration Spring 2016: Welcome Back Bash 2015: Our Top 10! Looking for a different taste for your lunch? Join us for some food for thought while you have your lunch. Call us for a location near you or to set up a class in your office.